Foreign Enterprise , Manage your oversea business! Remotely! Easily! Blue Print Collections (Asia) Ltd. is a foreign company in UK, and have a branch office in Hong Kong as a buying office, for managing the vendor in China. Their products include licensed cartoon giftware which are exported to Europe and USA markets. 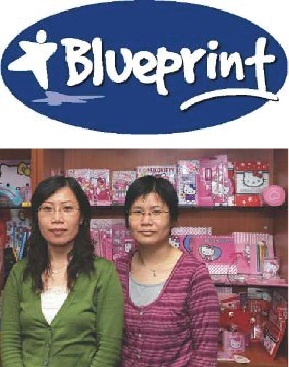 Since 2003, Blue Print has adopt TreeSoft Trading and Accounting System. Server has been set up in Hong Kong office, so that the UK HQ can view the management reports easily through Internet. It helps the foreign company to manage the offshore business conveniently.